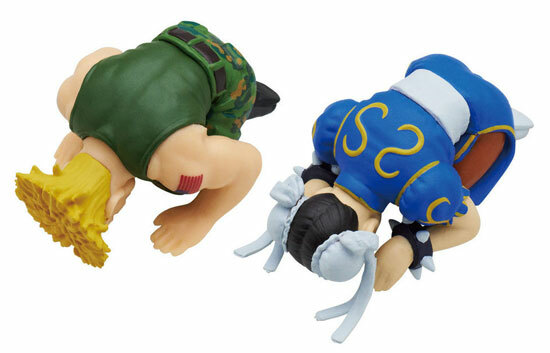 Kitan Club has been doing quite a number of funny capsule toys and the release recently was Street Fighters II characters doing that Prostrating pose of apologies. 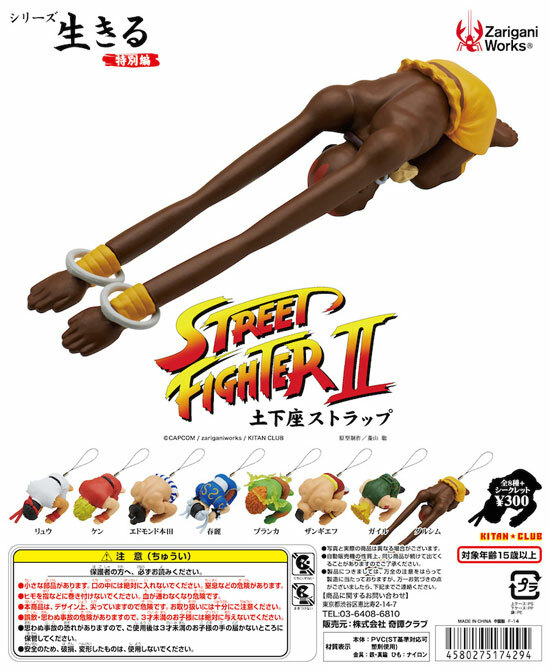 Well not of the characters but those normal players (Not boss) in Streets Fighters II. 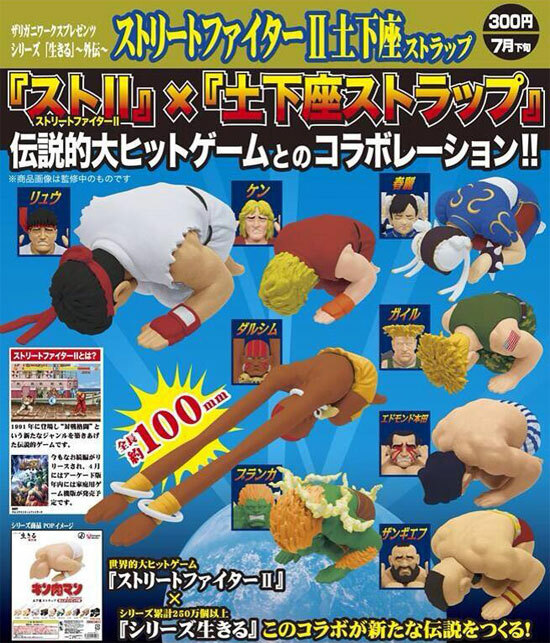 Characters like the wrestling character like E.Honda and Zangief. These capsule toys were schedule to release in July and each is on listed price of 300 Yen per turn. 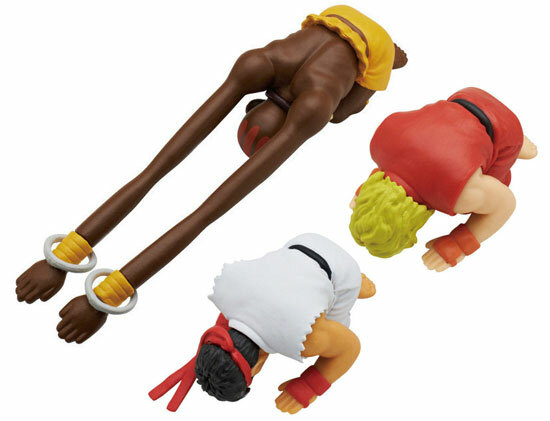 If I see these in capsule machine I will try my luck to see what is still available.